Skin conditions have a significant impact on patients across the United States. More than 30 million Americans experience atopic dermatitis or some form of eczema, while approximately 7.5 million struggle with psoriasis. Acne affects roughly 50 million Americans, and allergy-related skin inflammation such as hives impacts 20 percent of people at some point in their lives. While these conditions materialize on the skin’s surface, their effects are far more than skin deep. For instance, the American Academy of Dermatology reports that as many as 50 percent of patients with psoriasis experience depression; suicide is also more common among these patients. People with skin conditions may also fall into patterns of social isolation and experience sleep disruptions. Some suffer from anxiety. And for patients battling psoriasis or eczema, psychological symptoms pack a one-two punch. The conditions trigger stress, which in turn exacerbates the conditions. These factors can undermine patients’ ability to function at work, school and in social situations – exacting both a financial and emotional toll for patients and society at large. Yet increasingly, these patients face still another challenge: accessing necessary medications. Some health plans require prior authorization for treatments, prolonging the time patients must spend in discomfort and potentially avoiding the workplace and social settings. The process may sometimes include a step therapy edit, requiring patients to fail a traditional treatment before getting an innovative therapy. Allowing patients with skin disorders to resume productive, confident lives begins with allowing them to access the medications that treat their conditions. That’s how patients and advocates described the experience of step therapy at a Derma Care Access Network policy panel discussion in Washington, DC. Held November 15, 2018 on Capitol Hill, the event highlighted the experience of step therapy from the perspective of patients, advocates, health care providers and medical staff. David Charles, MD, chairman of the Alliance for Patient Access, moderated the panel discussion. Often called “fail first,” step therapy occurs when a health plan requires patients to try and fail on older or lower-cost treatments before getting the medication their doctor prescribed. For insurers, the approach aims to control expenses. But at what cost to patients and physicians? Dermatological conditions are more than skin deep, as any of the participants at the Derma Care Access Network’s 2018 Annual Meeting could tell you. Hosted by the Royal Danish Embassy in Washington, D.C., the meeting allowed patients, parents of patients and health care professionals to weigh in on dermatological conditions and the treatment barriers that patients face. underscored one the event’s major themes: Dermatological conditions can change the lives of patients and their families. Panelists and speakers brought this theme to life by sharing their stories. The Derma Care Access Network sponsors educational initiatives and advocacy programs designed to encourage informed policymaking about the benefits of access to approved therapies and appropriate clinical care. These programs will provide the foundational capacity for developing a network of engaged advocates who are trained, organized and activated in furtherance of DCAN’s mission. 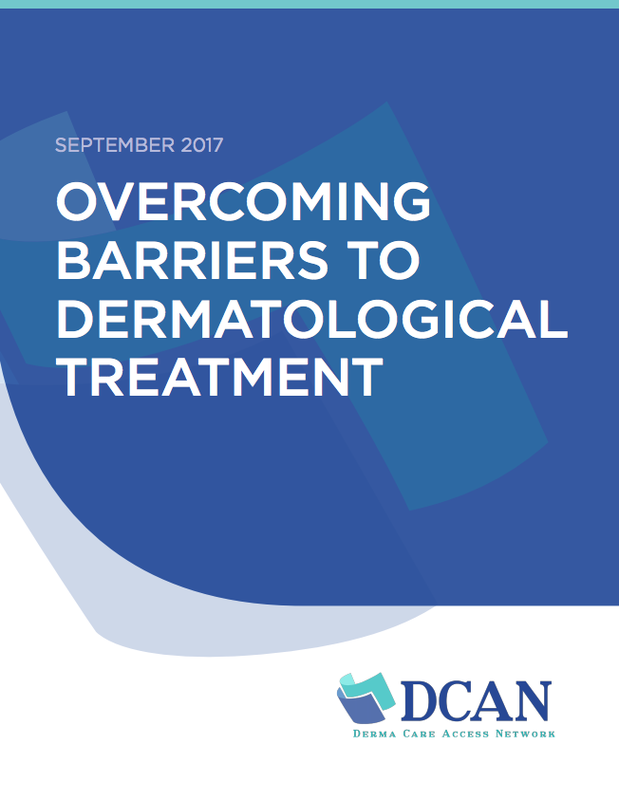 View videos, find resources, and read the latest information related to access to approved therapies for treatment of skin conditions. DCAN is a non-profit advocacy organization of diverse stakeholders, including patients, patient advocates, physicians, and scientists. Learn more about events and activities sponsored by DCAN and partner organizations.